Dumbbells are common, tried and true training equipment that can be found in any gym. Recently, however, kettlebells have started to gain a following, particularly among the functional training crowd. Which one should you use? Do kettlebells have any real advantages over dumbbells? I say they don’t. Both are just tools, and tools are best used according to their purpose. The question, then, turns from “kettlebells vs dumbbells: what’s better?” to “which one is better for my goals?“. 1) Kettlebells are unbalanced. It’s part of their design. I’ll use incline bench press as an example to explain why lack of balance is bad for adding muscle mass. Doing it with dumbbells is simple and convenient. You don’t have to worry about awkward balance. This lets you focus on doing the movement, and on loading the muscles that the movement should work. As a result, you do more reps with higher weight and better form. With kettlebells, the situation is completely different. Kettlebells have awkward balance. When you incline bench press with them, your muscles and your mind have to compensate for this. As a result, you can do less reps with less weight, which means less work for targeted muscles. If you want to have big muscles, you need to lift in a controlled manner, and kettlebells just don’t work here. 2) It’s hard to gradually increase weight when using kettlebells. And being able to make gradual increases in weight is important for steady progress. Adjustable dumbbells are common and cheap — the opposite of adjustable kettlebells. Sets of kettlebells don’t let you make jumps small enough. Kettlebell sets also cost more than their dumbbell analogues, and take up more space. 3) Some bodybuilding staples like dumbbell curls are impossible to do with kettlebells. You can do a movement that would resemble a curl, but biceps won’t be a limiting factor. Your wrist will give out before your biceps do. To sum up, kettlebells are not a bodybuilding tool. Stick to dumbbells if you want to add muscle mass. 1) Most kettlebells aren’t heavy enough. 100kg dumbbells are common in powerlifting and weightlifting gyms. 100kg kettlebells are not. Plus if you do find a 100kg kettlebell, you’ll find that it’s too big and unwieldy to use for many exercises. Lighter kettlebells, on the other hand, simply don’t provide enough resistance to really train maximal strength and explosiveness. 2) Again, the gradual increase of weight is hard when using kettlebells. And ability to make small jumps in weight is even more important here than in bodybuilding. 3) Part of training for maximal strength and power is ingraining competition-specific motor patterns. Most of the competition events involve barbells. Strongman involves dumbbells and contraptions like the log, which is similar to a barbell. And while dumbbells are a lot like barbells, kettlebells are completely different. As a result, when you use kettlebells to train for a barbell event, you disrupt your motor patterns. 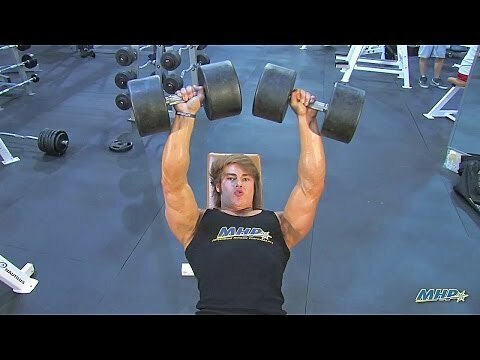 The bottom line is, dumbbells are a better tool when you are training for maximal strength. 1) Their shape lets you perform intense, dynamic movements, such as swings. According to this study, kettlebells give a more intense continuous workout than dumbbells. And long workout with little rest is what you want when training for endurance. 2) When you are training for endurance, ability to make small jumps in weight doesn’t matter as much. Plus adjustable dumbbells tend to get loose when you use them for a lot of dynamic reps. Locks gradually unscrew, plates start to clang. Kettlebells have no such problems. In short, kettlebells are better when your goal is improving power or strength endurance. 1) Kettlebell workouts are short and target your whole body. They also develop strength, endurance and explosiveness all at the same time. It’s not as effective as training each of those separately, but it’s much more time efficient. 2) Kettlebells help treat and prevent back and shoulder pain, this study shows. In fact, frequent kettlebell workouts can provide much of the same health benefits cardio and weight training do. For general fitness, kettlebells are a much better time investment than dumbbells. Kettlebell workouts are like endurance, plyometric and weight training sessions, combined into one. Of course, this also means you become jack of all trades, master of none. Again, kettlebells win over dumbbells here. It’s the same situation as with conditioning. Whole-body compound movements done over a longer period of time trump working isolated muscles for reps. In the end, a kettlebell circuit will burn a lot more calories than any type of dumbbell training. There isn’t much point in the “kettlebells vs dumbbells” debate. It’s your training goals that matter. If you want to increase your muscles mass, strength or power, dumbbells are your choice. Kettlebells don’t bring anything to the table here. If your goal is strength or power endurance, kettlebells are a better choice than dumbbells. Plus kettlebell workouts improve speed, endurance, strength and burn lots of calories. 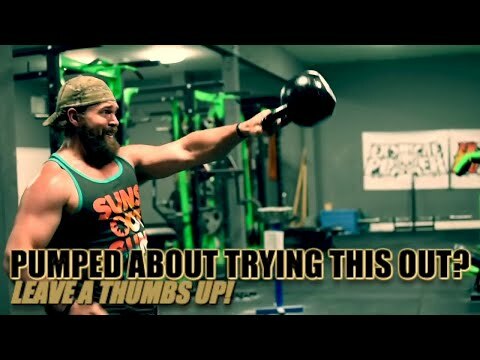 This makes kettlebells great for general fitness and fat loss.